It’s about conserving the environment and making lives better. According to the UN Report of the World Commission on Environment and Development, sustainable development means “meeting the needs of the present without compromising the ability of future generations to meet their own needs.” Put another way, sustainable development is about the balance between the short- and long-term demand and supply of resources. Although the term sustainable often refers to environmental consciousness within the corporate sector, the concept of sustainability rests on a triple, rather than single, bottom line consisting of three pillars — social, environmental and economic. Social: Sustainable fashion brands join the cause to defend workers’ rights. Environmental: Only environmentally-friendly textiles, such as organic cotton clothing or recycled material, are used to make fashion items, plus efforts are made to minimize waste throughout the supply chain. Economic: In addition to carrying a fair price, the clothing meets market demands for quality and quantity and is marketed fairly. As a fashion brand, you can promote sustainability in many ways. The opportunities to find sustainable solutions can be found throughout the supply chain, starting from sourcing of the materials to getting them into the hands of the consumers. 1. Design with sustainability in mind. The right fashion accessory does more than fulfill its primary function. A dress, for instance, does more than just cover you. It’s a statement, reflecting your aesthetic style, your personal beliefs and your moral and social standings. In a world where more than 15 million tons of textile waste are generated yearly in the U.S. alone, you want the message you send through your fashion to be environmentally conscious. 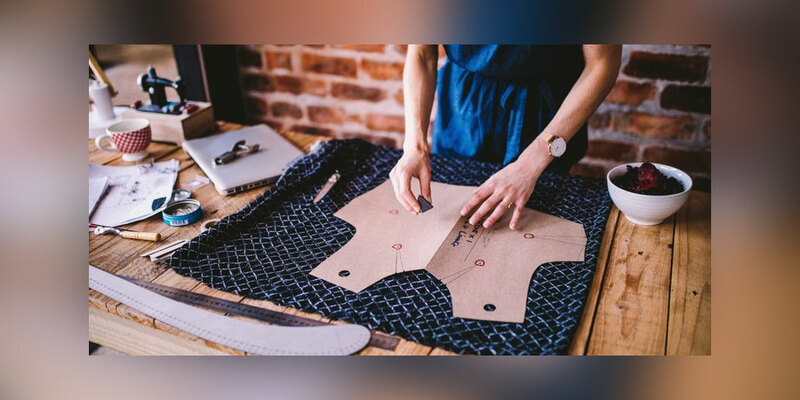 Brands like PuraKai Clothing, Awake Watches and Bureo are making a name for themselves by saving the environment for future generations without compromising on the quality of their products. But it’s not just about conserving the environment. As sustainability continues to gain popularity and exploration of its concepts deepens, innovative designers devise new approaches. The new methods go beyond production, distribution and recycling. They are revolutionizing how we use clothes, extending the lifespan of each fashion item. Changing consumption patterns begins with changing the design process. Aranyani, a conscious fashion brand recognized by the UN for its efforts, uses art to evoke emotion with its fashion pieces. Its recent collection — Finding Your Roots — for instance, takes you down the memory lane, evoking nostalgia. To improve its design process, the Aranyani team learned about the design standards set in Italy in an intensive 16-week training. The artists got even longer training under Shan Re, one of the most well-known artists in Bangalore, who has showcased her work both in Bangalore and New York. She delivered a six-month training to Aranyani artists to help them sharpen their skills. 2. Promote good working conditions. You can also establish a healthy and positive work environment for your employees. For example, Haresh Mirpuri, CEO of Aranyani, believes sports and extracurricular activities promote a feeling of familyhood. 3. Participating in awareness-raising initiatives. Consumer psychology plays a significant role in promoting sustainable development. If fashion brands understand consumption issues that are to blame for the sustainability challenges facing the industry, they can address them, educating the consumer. As consumer preferences continue to favor brands with a positive impact on both people and the planet, more fashion brands are fostering community development and connections. But social activism does not need to be limited to sustainability. Different brands are participating in raising awareness on different issues across various communities in the world right now. In 2017, Positive Luxury collaborated with Grassroot Soccer (GRS), a non-profit encouraging young people to lead healthier and more productive lives, and People Of All Nations (POAN), a luxury menswear label, on a limited edition hoodie to teach young people about HIV prevention. Sustainable fashion isn’t just a trend. It’s a holistic approach to fashion that involves the whole supply chain. It calls on both fashion brands and consumers to help maximize benefits to people and communities involved in the production process while minimizing impact on the environment. Brands can lead the way to a socially, environmentally and economically better future by designing sustainably, taking care of their workforce and raising awareness among fashion consumers.